Kate, an average 54-year-old, is sitting comfortably on her sofa on a typical Friday evening, catching up on her emails on her iPad while watching a TV drama series on Netflix. One of the emails she reads is a promotional email from her dermatologist, offering a 4-day flash sale on dermal fillers. She has been contemplating having another Restylane® treatment, and this sale was just the incentive she needed to do it. Combined with the Reward Points she knows she will earn by purchasing online, she feels great about the good deal she’s getting. She clicks the Shop Now link in the email, and completes the purchase on the practice’s online store. While there, the cart shows a recommended sunscreen, also on sale, so she goes ahead an adds that to the purchase as well. Oracle recently conducted a survey of US consumers, and published results in ONLINE OR IN-STORE? Exploring the shift in shopping behavior. Not surprisingly, the study found that ecommerce is growing, with all consumer demographic groups taking advantage of multiple shopping channels. The National Retail Federation predicts ecommerce will continue to grow at a rate of 8-12% every year. According to the study, “Consumers now use multiple channels to shop, including online shopping websites, mobile, social media and in-store—and they dip in and out of these channels at will.” Offering an omni-channel experience to customers helps small businesses stay relevant and competitive in a consumer-driven world. As an aesthetics provider, offering your patients the convenience of multiple channels for making purchases and engaging with your practice will help you retain your patients and increase the lifetime value of each patient. While a lot has been made in the media about the online habits of Millenials, the Oracle survey, which broke down results by generation, found that Baby Boomers—those who are currently age 54 to 72—are the consumers with the highest percentage of weekly online-only shoppers compared to other generations. This is consistent with other studies, such as the State of the User Experience report from Limelight Networks, a content delivery specialist, which found that 50% of those aged 52 to 70 spend at least 11 hours a week online, compared with 42% of millennials. Another factor in online shopping is income. Those with income over $100,000 represent the highest percentage of weekly online-only shoppers compared to lower income consumers. “Higher earners tend to shop online more often and are likely to be less cautious about shopping for non-essential items,” the Oracle study found. 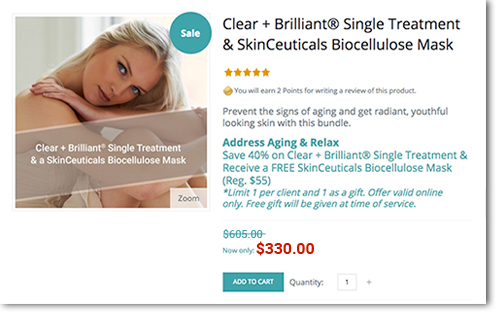 With targeted and personalized email messages to your patients, you can make it easy for those who are inclined to shop online to enjoy the benefits of buying when it’s convenient for them, whether it is a planned purchase of a product or treatment that they have been wanting to get, or an impulse purchase due to a deal they just couldn’t pass up. 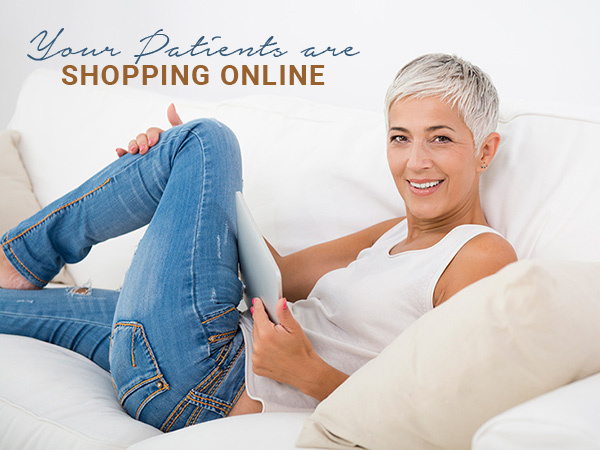 Find out how ecommerce can help you cater to your patients’ shopping habits, and increase your revenues today. Baby Boomers have the highest percentage of weekly online-only shoppers compared to younger generations.